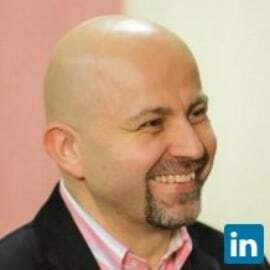 Sergiu is a Business Growth Consultant and Associated Dean with Maastricht School of Management in Romania. He coaches and mentors entrepreneurs. Sergiu is an active Business Angel, with participations in a number of high growth local companies (frufru, Softelligence, 2parale, Hart, Intermedicas). Previously, Sergiu has been the Executive Director and Board Member of PE-owned REGINA MARIA in Romania, where he coordinated a growing healthcare business (12x in 6 years) and an expanding team of professionals, including acquisitions of smaller players. Before returning to Romania, Sergiu has worked for Amgen Inc, in Austria and Switzerland, playing an active role in the company’s expansion to CEE countries. Sergiu proudly holds an MBA from INSEAD. His previous education includes a Computer Science degree from Politehnica University of Bucharest and an International Business degree from ASE.